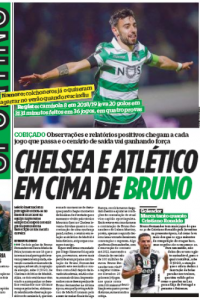 Chelsea are reportedly one of the sides interested in signing Sporting midfielder Bruno Fernandes. According to Portuguese newspaper O Jogo this Tuesday, the Blues are, along with Atletico Madrid, evaluating the player’s recent performances for the Lions. Fernandes has been impressing with his goalscoring form this season, with 20 goals in 36 games, including three in the past two games. He’s scored two free-kick beauties in the last two fixtures of the Portuguese league, and has been receiving a lot of attention for becoming such a decisive player lately. O Jogo highlights that Maurizio Sarri’s scenario at Chelsea looks a little bit unpredictable, which makes a transfer to the Blues seem the same. 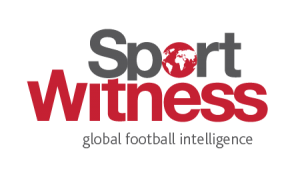 Atletico, on the other hand, are considered to be a more stable destination, who have already made contacts to sign him in the past. Bruno Fernandes is currently protected by a €100m release clause, but O Jogo doesn’t seem to know how much Sporting will really demand for him.